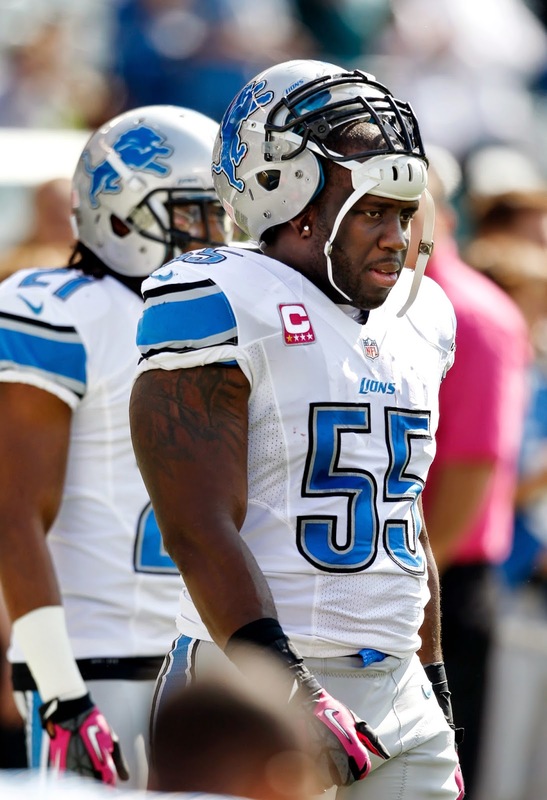 Stephen Tulloch hates to lose in football and softball. Since he moved to Detroit, the linebacker has hosted a Detroit Lions charity softball game with the offense playing the defense. His team has never won. Dominic Raiola, who will lead the offense, said it’s going to be tough for Tulloch to break his losing stretch. The big game is set for June 7 at Ford Woods Park in Dearborn. The home run derby starts at 2 p.m. with the game to follow. Tulloch said about 30 Lions have committed to play. Other Detroit sports and media personalities will fill out the teams. “Hopefully we can trade some players from offense and get some guys on defense, obviously they have Calvin (Johnson), Golden Tate and Kris Durham so we’ve got to make a trade,’’ Tulloch said. Raiola showed no indication of trading guys like Johnson and Tate who have both taken batting practice before a Tigers game at Comerica and blasted home runs. Raiola is taking over for Nate Burleson who previously captained the offense. 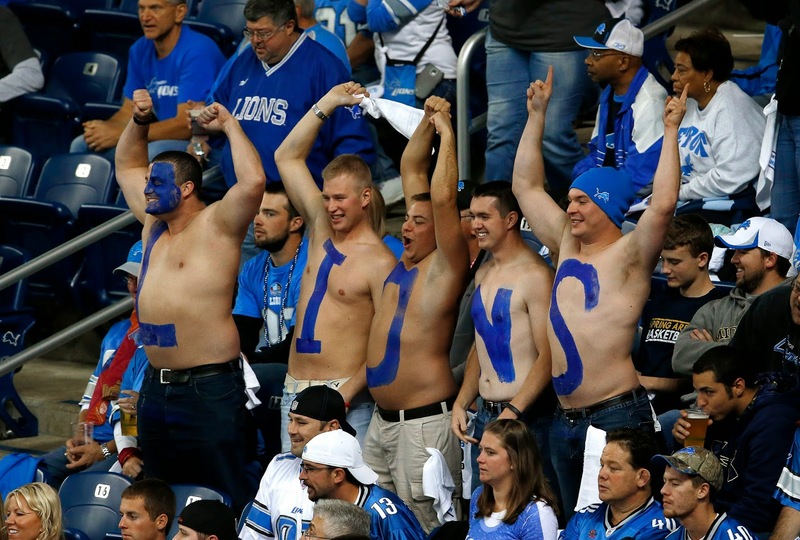 Burleson may show up at the game for old time’s sake, according to Raiola. “It’s another way to bring the team together and raise money for a good cause, this year we’re raising money for Detroit Public Schools,’’ Tulloch said. Admission is $10, with kids under 5 free. More information is available at www.Tulloch55.com. Quietly Golden Tate, the free agent wide receiver signed in March, learns to fit with the Detroit Lions. “He’s got to learn and we’re moving him around quite a bit, his plate is full but he’s a guy who loves to practice, loves to play, loves being out here, that’s something you like,’’ Stafford added. 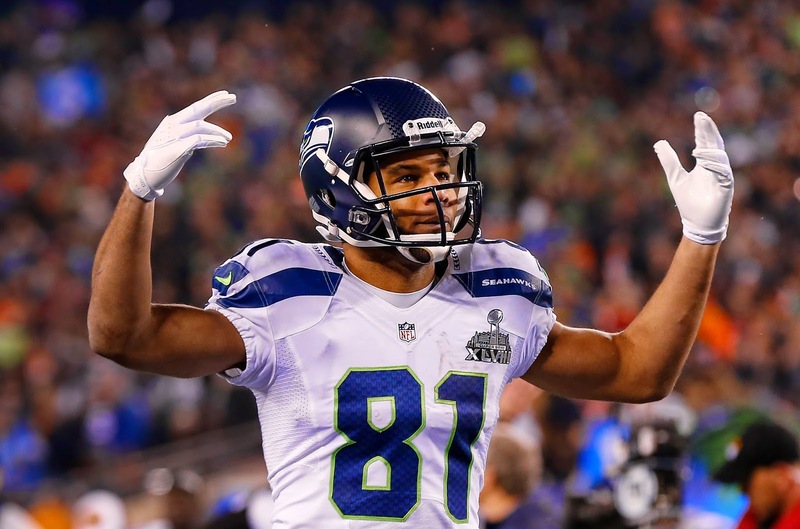 Tate is coming off a Super Bowl win with the Seattle Seahawks. “It’s great to have that too — we have that swag on the team for him to bring some knowledge even though he hasn’t played long we can still learn from each other,’’ Calvin Johnson said. Johnson had a message for Tate to take to the White House when he visited with the Seahawks last week. “I told him to tell Obama I said, ‘What’s up?’’’ Johnson said. When Dallas Cowboys’ linebacker Sean Lee tore his ACL during OTAs this week, it caught the attention of everyone in the NFL. 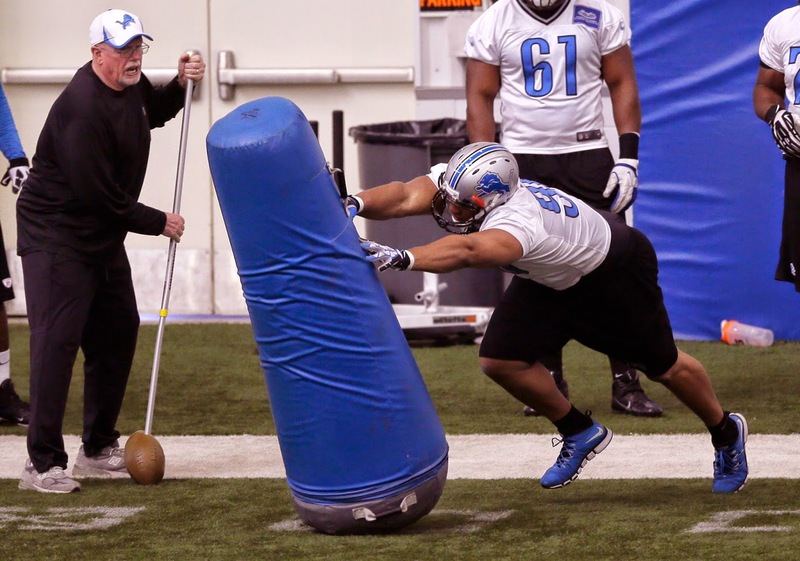 The Detroit Lions are midway through their OTAs (organized team activities) in which no contact is allowed. Stafford said the coaches talk about it every day. It’s up to the veteran leaders to make sure the rookies and others trying to make the roster don’t get too fired up and make contact when they shouldn’t. The simplest way to make sure everyone is safe? “Stay off the ground,’’ Dominic Raiola said. 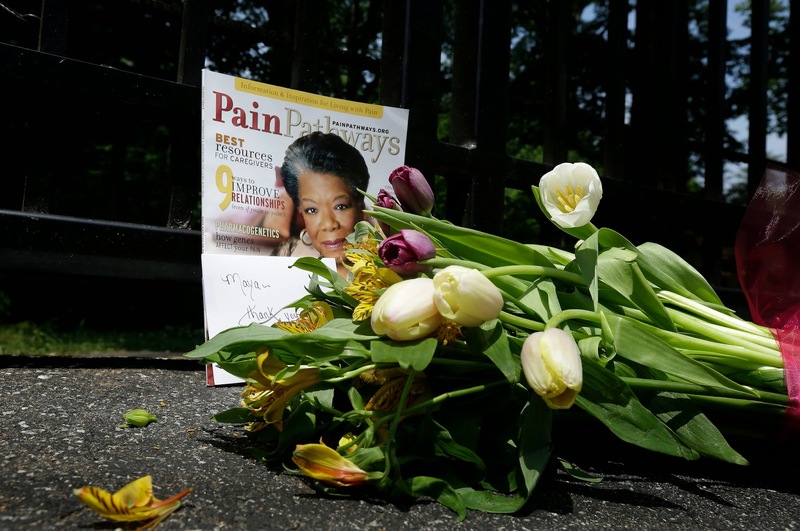 ALLEN PARK — Maya Angelou was a professor at Wake Forest when Detroit Lions coach Jim Caldwell was the head football coach there from 1993-2000. Angelou died on Wednesday at the age of 86. “She was extremely impactful. You look at just the body of her work and what a difference that made for our society from a cultural standpoint, and from a social standpoint as well. She influenced a number of students and folks, like myself, who worked there at the university, who had the great fortune of coming into contact with her. 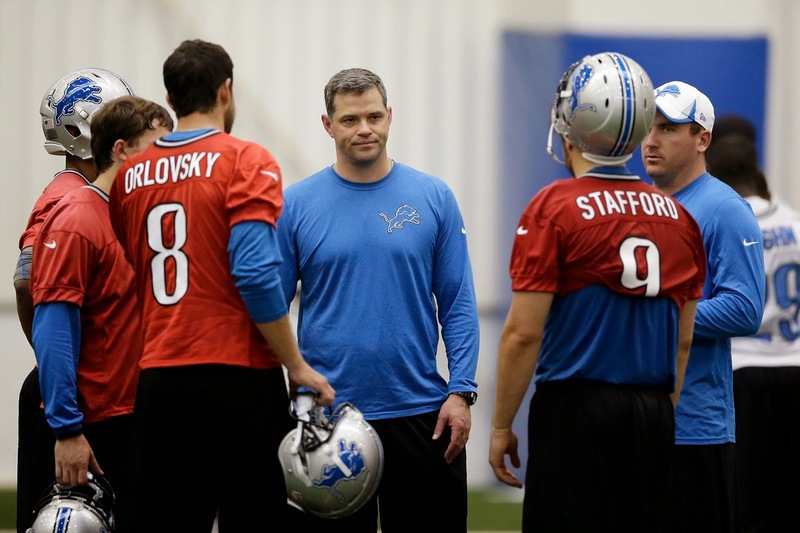 ALLEN PARK — After five days of OTAs, Detroit Lions offensive coordinator Joe Lombardi has a few thoughts on quarterback Matthew Stafford and wide receiver Calvin Johnson. Lombardi spoke with the media after Wednesday’s session. On Stafford: “He’s really remarkably bright. I’ve heard that he’s a smart player, but the speed and ease with which he picks things up has even surprised me and I had pretty high expectations. I think he’s doing really well. ALLEN PARK — Remember it is May. 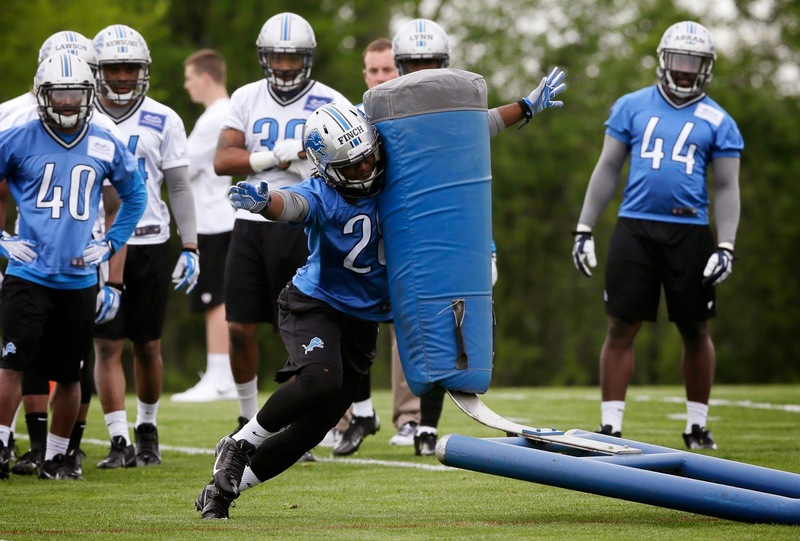 During the Detroit Lions’ OTAs today (Wednesday), the defense was clearly ahead of the offense. That is not unusual this time of year. The issue, though, was familiar — drops. He understands this was an issue in the 2013 season for the Lions even though he was the New Orleans Saints quarterbacks coach. Lombardi also can pinpoint a few reasons for so many drops in Wednesday’s practice and sees the situation improving. Wednesday was the fifth of 10 organized team activities allowed by the NFL collective bargaining agreement. The Lions will have one Thursday, four next week and then have a mandatory minicamp June 10-12. OK, several folks have asked me the same question: Will the Detroit Lions sign free agents to fill in the holes on the defense? My answer: They already have. With Martin Mayhew no roster is set in stone. At any point in the offseason or during the season if he gets a chance to upgrade a position, he’ll make the move. He signed three defensive players as free agents this spring who not only have a good shot at making the 53-man roster — at least one of them could be a starter. 1. Safety James Ihedigbo (in photo) is penciled in (at least by me) as a starter along with Glover Quin. He’ll replace Louis Delmas who was signed by the Miami Dolphins. Ihedigbo played for Lions defensive coordinator Teryl Austin for the Baltimore Ravens the past two seasons. Austin was the secondary coach and obviously knows Ihedigbo well. In fact they both earned Super Bowl rings while there. 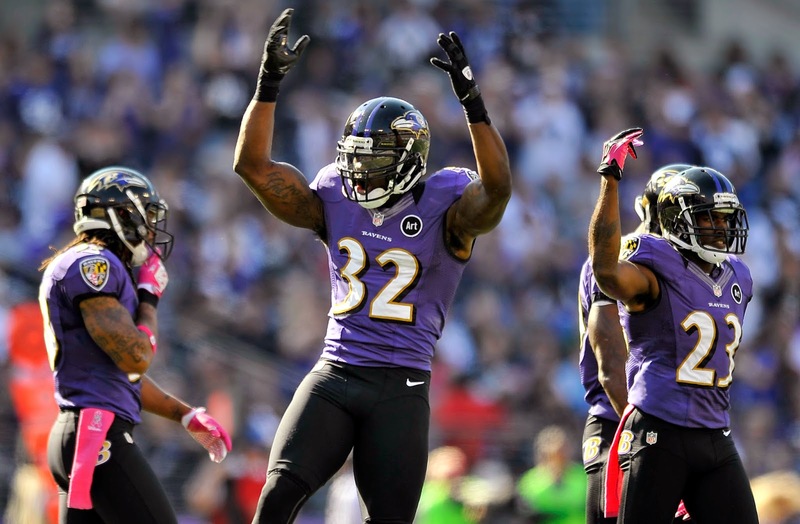 Ihedigbo, 30, started all 16 games for the Ravens in 2013 with three interceptions, 11 pass defenses, two forced fumbles and 101 tackles. It was the first time in his six-year NFL career that he started 16 games. He’s a natural leader, couldn’t be happier to be reunited with Austin. Watch him. 2. Defensive end Darryl Tapp, 29, has a history with Austin that goes way back to when they were in Seattle in 2006 — Tapp was a rookie and Austin was the defensive backs coach. Tapp was with the Washington Redskins in 2013, the only season he lined up as a linebacker playing in a 3-4 defensive scheme. He’s happy to be back to the 4-3 and back with Austin. His numbers were down in 2013 because he was playing an unfamiliar position. In three seasons with the Philadelphia Eagles (2010-2012) he had six interceptions. Look for him to rotate in along the defensive line and play on special teams. 3. Cornerback Cassius Vaughn, 26, doesn’t have an Austin connection but he’s young and durable. He played in all 16 games each of the last two seasons with the Indianapolis Colts, getting 15 starts in that span with four interceptions and 15 pass defenses. He’ll compete for time at cornerback and he also has extensive experience on special teams. In the OTA that was open to the media last week, Vaughn was a standout on defense. Oddly enough in November 2012 he was fined for a late hit on then-Dolphins running back Reggie Bush. So there you go. The defense, which ranked in the middle of the pack in the NFL in 2013, has been addressed in the draft and free agency. Perhaps Ihedigbo, Tapp and Vaughn are not flashy NFL names, but they could be contributors this season. No doubt the Detroit Lions are depending on three young cornerbacks — Jonte Green, Bill Bentley and Chris Greenwood — to come through this season. All were drafted in 2012. General manager Martin Mayhew said during draft week that if a corner doesn’t “get it” in three years, he never will. The Lions also drafted Nevin Lawson in the fourth round. Just don’t leave Cassius Vaughn out of the Lions’ cornerback discussion. Vaughn, 26, was signed as a free agent this spring. He was a standout at the OTAs on Wednesday. 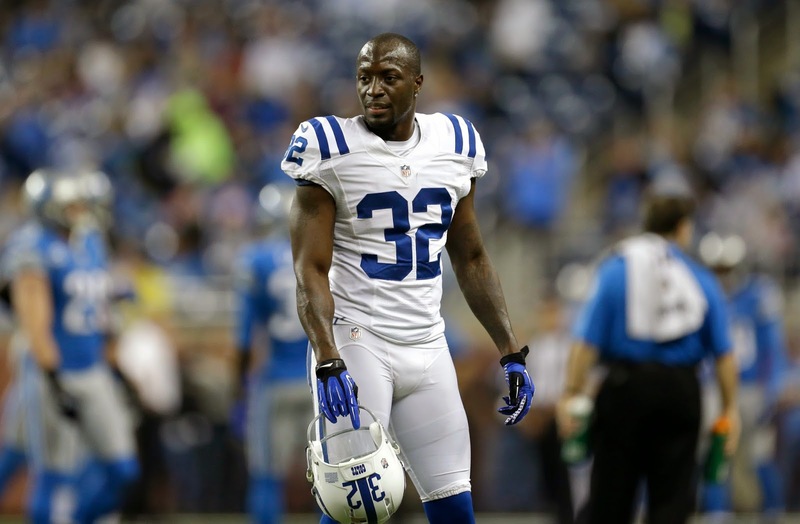 Vaughn, who was with the Indianapolis Colts the last two seasons, played in all 16 games each year and had four starts in 2013 and 11 starts in 2012. 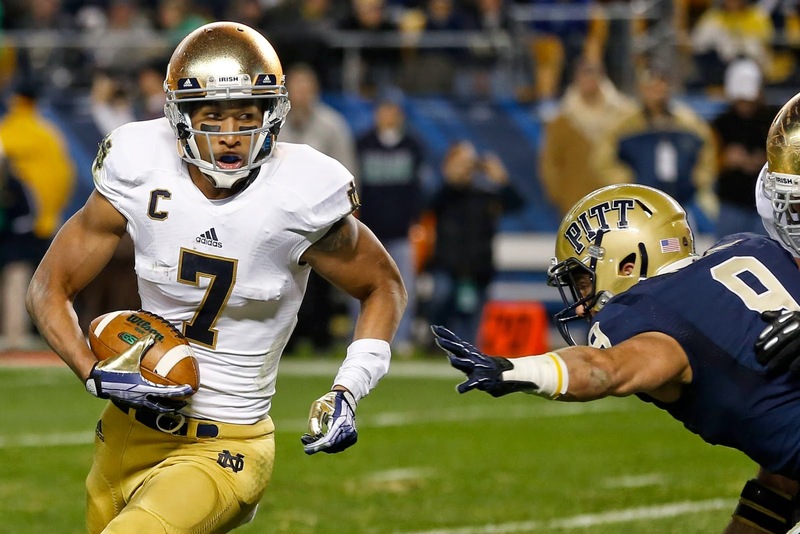 Last year he had three interceptions six pass defenses and a forced fumbles with 27 tackles. Darius Slay and Chris Houston (if he's recovered from toe surgery) are expected to start with Rashean Mathis possibly the first corner off the bench. 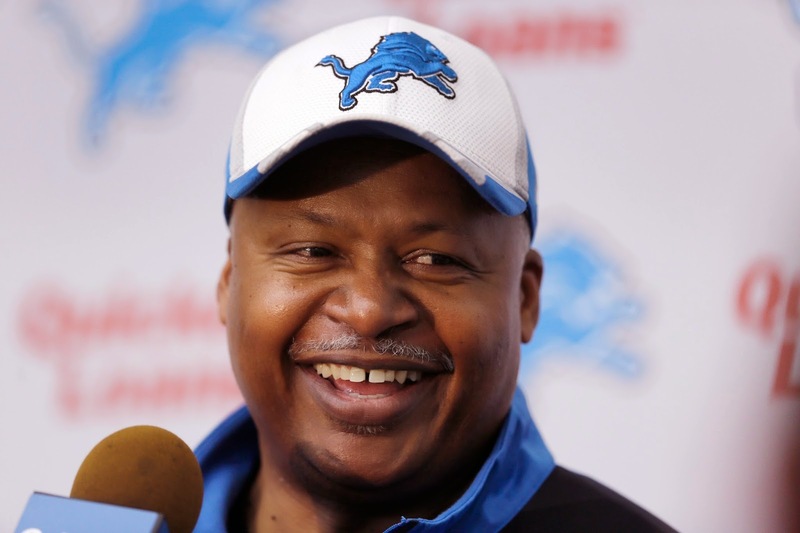 It hasn’t taken long for Detroit Lions coach Jim Caldwell to get to know the diehard, ever-patient Lions’ fans and their passion for the team. While he wasn’t specific he may have heard a word or two about the fact the Lions have won just one playoff game since 1957. The fans may have also mentioned the collapse at the end of last season. “They’re going to tell you what’s on their mind about any and everything from the draft to what they think from an offensive structure, defensive structure, where you went wrong, the history and what to do and what not to do. You get everything,’’ Caldwell smiled. He was hired to change history. He knows that and seems to embrace it. Detroit Lions coach Jim Caldwell has found a way — an expensive way — to discover Detroit’s best restaurants and to get to know his players better at the same time. Caldwell has begun the pleasant task of taking each of the position groups out to dinner. So far the offensive line and linebackers have dined with the coach. The group picks the restaurant and Caldwell picks up the tab. ”That would be no fun, that’s not taking someone to dinner, what kind of dinner is that?’’ Caldwell said. 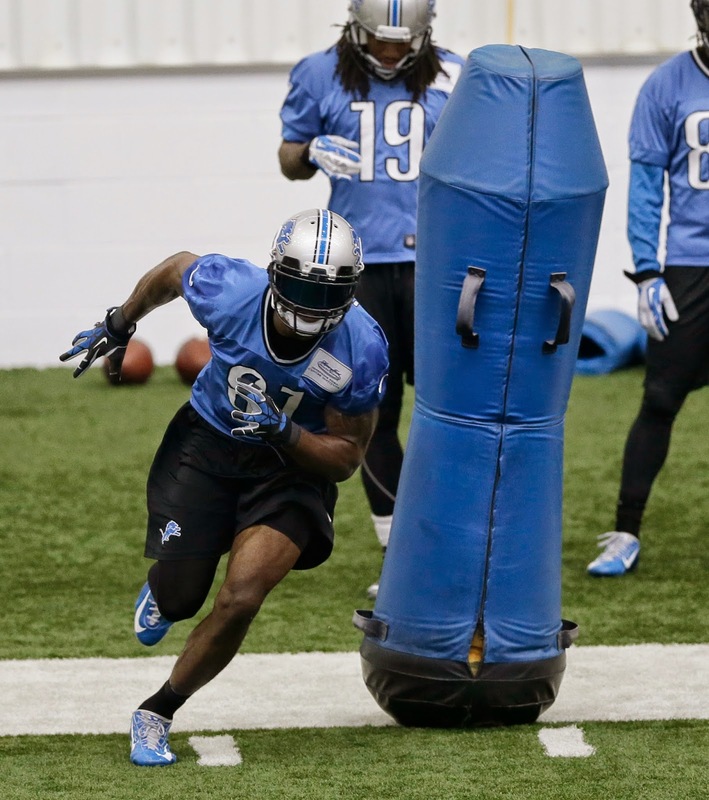 The Lions wrapped up their first three sessions of OTAs on Thursday. They’ll have three more next week starting on Tuesday. 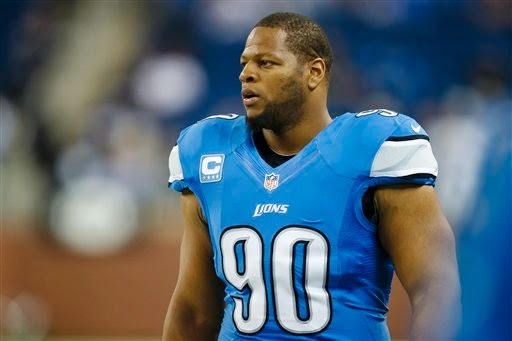 ALLEN PARK — Ndamukong Suh returned to the Lions this week for the OTA portion of the offseason workouts. He had not participated since they started on April 7. The Detroit Lions defensive tackle had been widely criticized for missing the voluntary workouts especially because there was a new coaching staff and a new defense being installed. Veteran running back Reggie Bush was asked on Wednesday if too much was made of Suh’s absence. ALLEN PARK — Ndamukong Suh had a chance end the noise about his absence for the first several week of offseason workouts on Wednesday. Instead he opened a new can of worms. The Detroit Lions defensive tackle, who is signed through 2014, said he wants to return to Detroit. The Lions and his agent are working on an extension. He said he wouldn’t have had to come to Detroit when he was drafted No. 2 overall in 2010. “Probably a lot of you guys don’t know, I could have gone elsewhere when I was drafted. Had that decision in my hands. 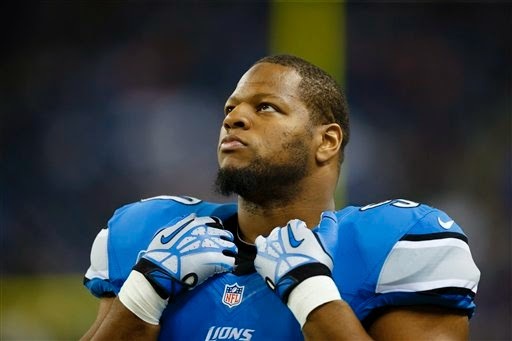 I chose not to take it because that’s just the way I saw it,’’ Suh said after OTAs on Wednesday. He was asked to clarify. "There’s many ways to do things. 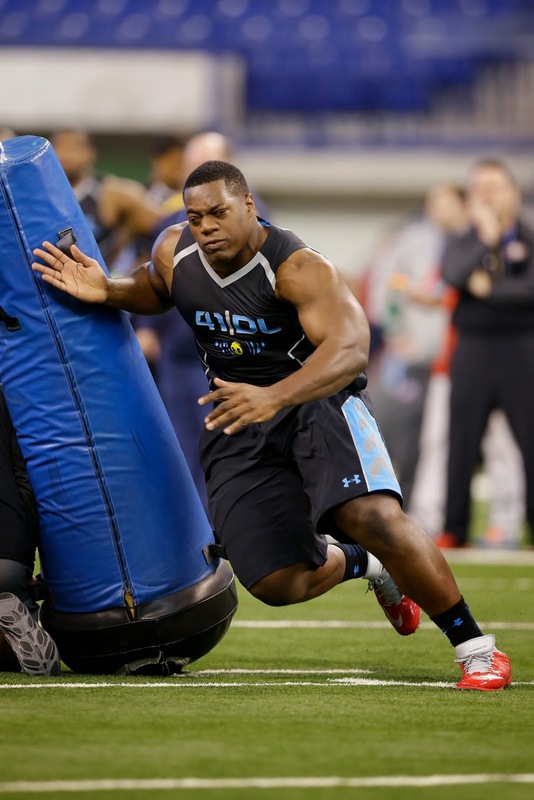 You can drop down in the draft, you can move up,’’ Suh said. “It is my choice. It is for sure, my choice. But like I said, that’s water under the bridge. I’m here in Detroit, I’m happy to be here in Detroit." A request has been made for a comment by general manager Martin Mayhew. Suh said he heard the criticism about his absence, but said this has been his timetable every season. ALLEN PARK — Michael Williams, the tight end drafted by the Lions in the seventh round out of Alabama in 2013, has made the move to offensive tackle. This isn’t a surprise. Williams, who is 6-foot-6 and 270 pounds, was on injured reserve last season following a broken hand. He will now wear No. 73. This leaves the Lions with five tight ends — Brandon Pettigrew, rookie Eric Ebron, Joe Fauria, rookie Jacob Maxwell and Jordan Thompson. DETROIT — What is it with Detroit Lions defensive tackles? On Tuesday, the day that Ndamukong Suh showed up for the first day of OTAs (organized team activities), Nick Fairley was absent. “He’s got a medical issue to deal with,’’ coach Jim Caldwell said about Fairley at Tuesday night’s Taste of the Lions event at Ford Field. Caldwell said he wasn’t certain if Fairley would return this week. Suh missed all of the voluntary workouts for the team since they reported on April 7. He was working with his own trainers. Caldwell said Suh did not address the team on his return. Tuesday was the first of 10 OTAs allowed under the current contract. They continue this week on Wednesday and Thursday. 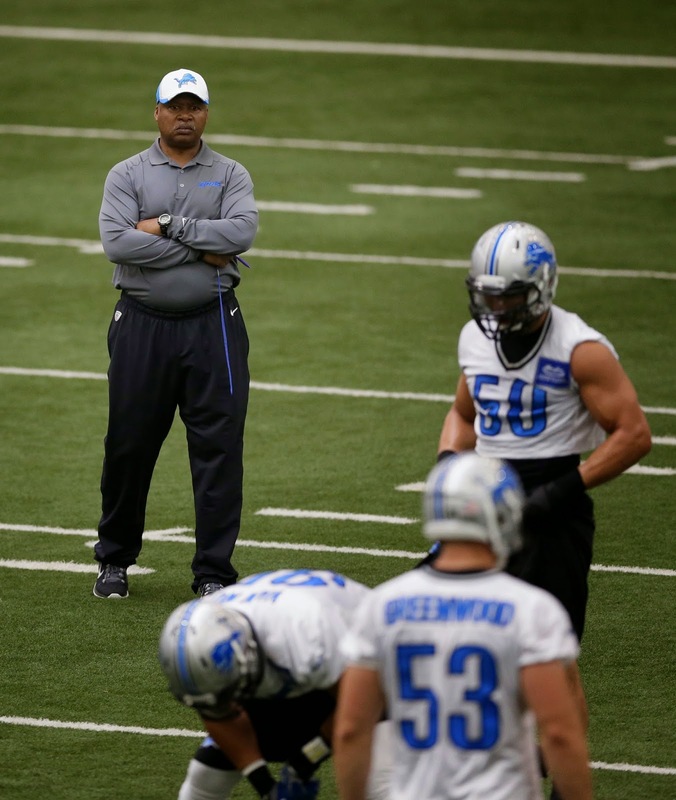 The Lions were allowed an extra minicamp because they have a new head coach. Caldwell, his coaching staff and all of the players participated in the Taste of the Lions. Lem Barney, Herman Moore, Luther Ellis, Jason Hanson and Mike Utley were a few of the former Lions on hand. All the proceeds from the event go to Eastern Market. It was the second year for the Taste event and estimates were that attendance doubled over last year. DETROIT — Lions center Dominic Raiola said he’s been in touch with defensive tackle Ndamukong Suh who told him he would be at the OTAs which start on Tuesday. Raiola was speaking at an event with Bernie Smilovitz at the MGM Grand Detroit on Monday night. The center said he thought too much had been made of Suh’s absence in voluntary workouts so far this season. 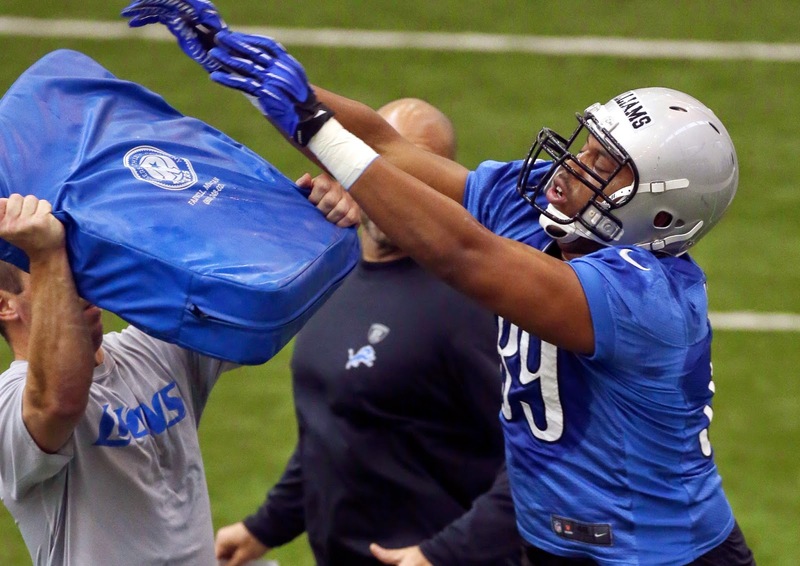 Suh missed the voluntary minicamp and the workouts which started on April 7. The voluntary OTAs (organized team activities) start on Tuesday. 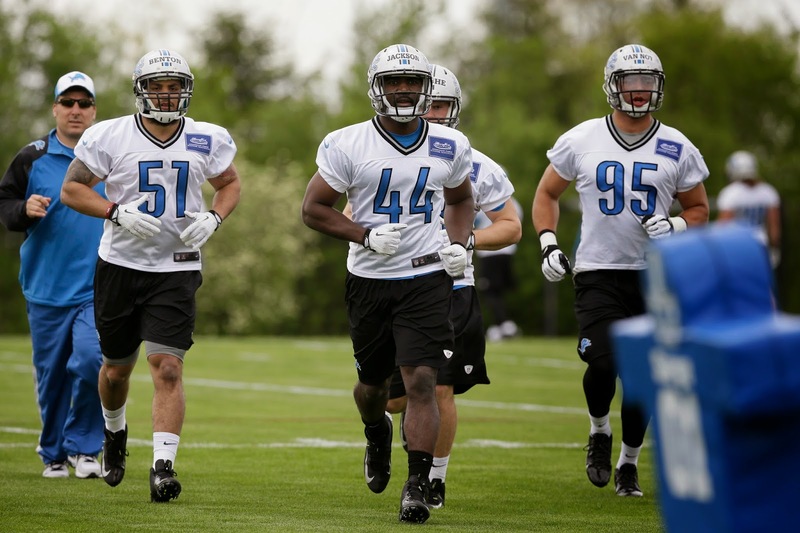 The Detroit Lions wrapped up a three-day rookie minicamp on Sunday. 2. When you see Caraun Reid in person, only one thought crosses your mind — he’s got a body built for defensive tackle. He may be a fifth-round pick from Princeton, but don’t see him so much as a project as a guy who can rotate in. Of course it’s early and they’re not in pads. 3. Kyle Van Noy seems wiser than his year. The outside linebacker will also be a pass-rushing defensive end. Lots to learn, but no sweat. He said one of the hardest things so far is learning to manage his time wisely between studying film and working out. “Just doing the little things right all the time,’’ Van Noy said. 4. Overall the draft class seems impressive. Coach Jim Caldwell said it was an "outstanding" minicamp.They seemed to be leaders on the field and were fine at the podium talking to the media. A few were more comfortable than others, but no one made any major errors. 5. Hidden gems at rookie camp? Among the 23 tryout players, there could have been a dozen of them, but coach Jim Caldwell just opened each day up to the media for 20 minutes. During that time they were working on individual drills so it’s hard to judge. ALLEN PARK — Coach Jim Caldwell expects Ndamukong Suh to be in attendance on Tuesday when the Detroit Lions start their OTAs (organized team activities). “Do I know he’ll be here? I would anticipate he will be here,’’ Caldwell said on Sunday wrapping up the final day of the three-day rookie minicamp. Suh has not been in attendance at the Detroit Lions practice facility since offseason workouts started on April 7. While he is working out on his own, he has missed the early installation of the new defense by the new coaching staff. The other team leaders have been in attendance so far, but Caldwell doesn’t seem to think that’s an issue with Suh. Other than Suh, attendance at the voluntary sessions have been solid. ALLEN PARK — A few nerves were on display Friday afternoon as the Detroit Lions started their three-day rookie minicamp. The rookies were still getting used to the drills on the outside field where the temperature hovered around 50 degrees. Since the media was allowed to watch just 20 minutes it was difficult to draw any conclusions. Tight end Eric Ebron, first-round pick from North Carolina, and linebacker Kyle Van Noy, second-round pick from BYU, seemed to look comfortable during the drills. The minicamp continues Saturday afternoon and wraps up on Sunday. Along with the draft picks and undrafted free agents who signed, there were 23 tryouts including five from Michigan colleges: Shamari Benton from Central Michigan, quarterback Jonathan Jennings from Saginaw Valley State, defensive end Kalonji Kashama from Eastern Michigan, tackle Jake Olson from Central Michigan and Brett Pasche from Hillsdale. Caraun Reid, the Detroit Lions fifth-round pick, has signed a four-year deal. His agent Mike McCartney announced that a deal was complete on Twitter. He’s the first of the eight Lions’ draft picks to sign. Reid, a 301-pound defensive tackle from Princeton, could compete for a job to back up Ndamukong Suh and Nick Fairley this season. Reid is expected to participate in the Lions’ three-day rookie minicamp which starts on Friday. The Detroit Lions rookie minicamp starts on Friday with draft picks, undrafted rookie free agents and a few invitees. It’s not open to the public, but the media will be allowed to watch the early portion each day. 2. Quarterback James Franklin (Missouri), who was signed as an undrafted free agent, threw for 6,962 yards and rushed for 1,729 yards in his career at Missouri. This is only the start, but he could be in competition for Kellen Moore for the No. 3 quarterback role. 3. Kyle Van Noy, the second-round pick from BYU, has a legitimate shot to the Lions’ rookie of the year. Will be interesting to see how he looks in linebacker drills. 4. Curious to see T.J. Jones, the sixth-round pick from Notre Dame. It’s a bit easier to watch wide receivers at camps like this than say defensive or offensive linemen since they’re not allowed to wear pads. 5. Cornerback Nevin Lawson, the fourth-round pick from Utah State, will get a chance to show his matchup ability during drills. He was the only defensive back drafted by the Lions and will have a chance to make the 53-man roster. Starting on Tuesday the rookies will participate in OTAs (organized team activities) with the veterans. The mandatory minicamp June 10-12 will also mix both rookies and veterans. It will be the last practice until training camp starts in late July. If you missed the live chat today (Thursday) on the Detroit Lions' draft, check out the transcript here. Spent time on the draft picks and who the gems might be from the undrafted rookie free agents. Join in on the next chat at 3 p.m. on Thursday, May 22. The Lions signed 11 undrafted rookie free agents on Monday including quarterback James Franklin (in photo). To make room on the roster they released eight players including wide receiver Cody Wilson (Central Michigan, Rochester Adams). A year ago two of the undrafted rookies signed by the Lions made the 53-man roster — tight end Joe Fauria and right guard LaAdrian Waddle. 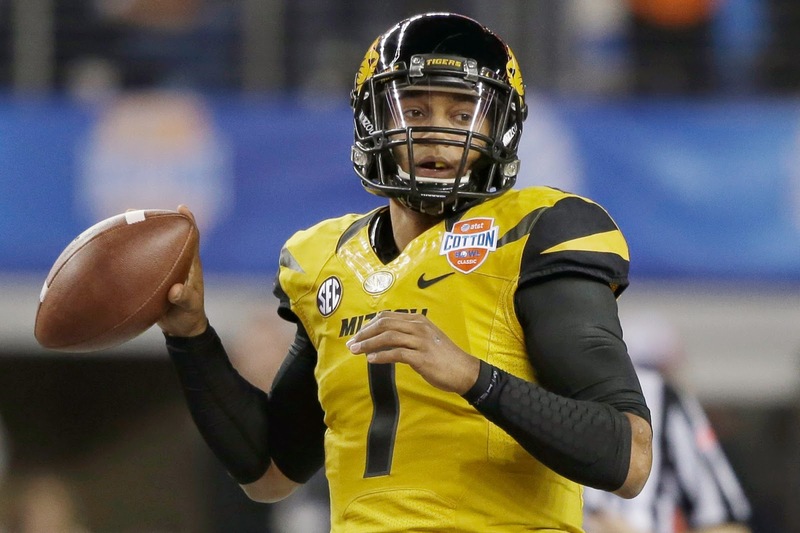 — QB James Franklin (6-2, 230), Missouri: He threw for 6,962 yards and rushed for 1,729 yards. — Tackle Cornelius Lucas (6-9,328), Kansas State: He started at left tackle his last two seasons. — Wide receiver Andrew Peacock (5-10, 190), Appalachian State: He’s App State’s all-time leader with 208 career catches and is fifth in school history with 2,108 receiving yards. — Cornerback Mohammed Seisay (6-2, 200), Nebraska: Played in nickel and dime packages. — Safety Gabe Lynn (6-0, 204), Oklahoma: Started all 13 games as senior and 10 as a junior. — Fullback Chad Abram (6-0, 229), Florida State: Claim to fame an 110-yard touchdown in BCS National Championship game. — Guard Alex Bullard (6-2, 302), Tennessee: Started 10 games at left guard. — Guard D.J. Morrell (6-6, 325), Old Dominion: Started 25 games at guard and at tackle. — Outside linebacker Justin Jackson (6-1, 230), Wake Forest: In career had 196 tackles and 20.5 tackles for loss. — Tight end Jacob Maxwell (6-4, 240), Louisiana Lafayette: Had six touchdowns in last two seasons. — Safety Jerome Couplin (6-2, 215), William and Mary: Three-year starter with 257 total tackles (158 solo). The cuts included Wilson, cornerback Nate Ness, safety Akwasi Owusu-Ansah, tight end Matt Veldman, kicker John Potter, wide receiver Carlin Isles, linebacker Jon Morgan and center Sherman Carter. A three-day rookie camp starts on Friday. 1. 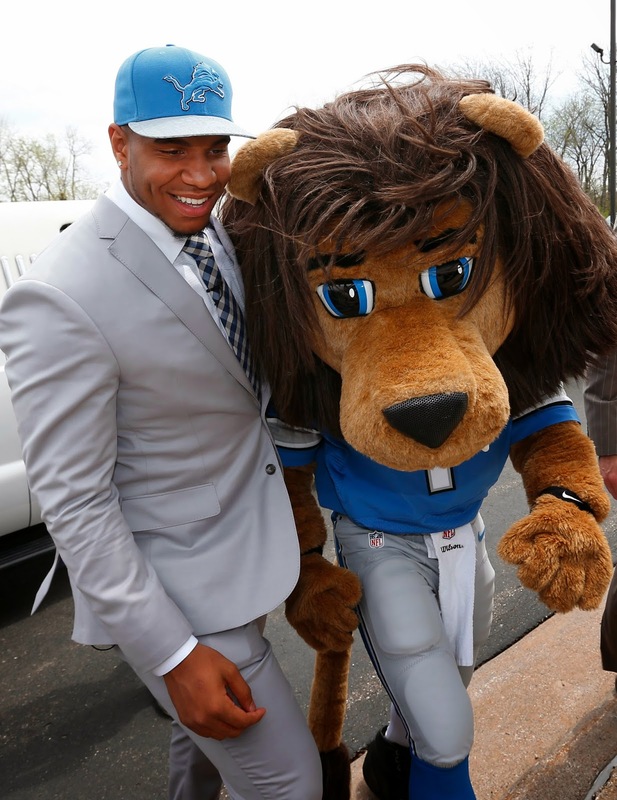 Tight end Eric Ebron is an immediate starter who will complement Brandon Pettigrew and Joe Fauria. 2. Outside linebacker Kyle Van Noy will have a limited role as a starter according to Martin Mayhew. That means he’s likely to play the strong outside linebacker spot. 3. Offensive lineman Travis Swanson played center at Arkansas but at training camp will learn to play guard. He’s seen as a possible successor to center Dominic Raiola. 4. Cornerback Nevin Lawson will compete to see time at cornerback and is expected to step in on special teams. Chris Houston and Darius Slay can be penciled in as starters, but there’s definitely going to be competition at cornerback. 5. Defensive end Larry Webster played at Bloomsburg so will have catching up to do to play at NFL level. 6. Defensive tackle Caraun Reid could land on the practice squad just because he played at Princeton and needs to bulk up — he’s 6-foot-2, 302 pounds. 7. Wide receiver T.J. Jones (in photo) could slide into the 53-man roster with a good training camp to beat out the many other wide receiver candidates. He was a playmaker at Notre Dame who converted a lot of third downs and was a go-to guy in the red zone. 8. Kicker Nate Freese will compete with two young kickers already on the roster. He played four years outdoors at Boston College which should prepare him for Chicago, Green Bay and Minnesota (the next two years).